A chile "learned how to use a gun from playing a Nintendo Wii game for days"
A three-year-old in Wilson County, TN has tragically died after shooting herself on Sunday evening. 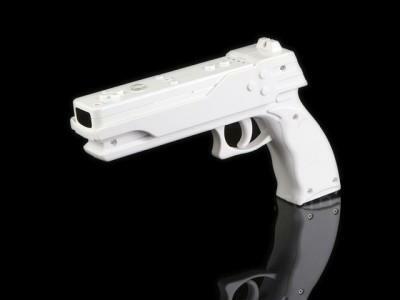 Early reports link the shooting to the child mistaking a handgun for a Wii controller. Three-year-old Cheyenne Alexix McKeehan reportedly shot herself in the abdomen with the family's handgun on Sunday evening. A report on the Tennessean states that "the child had been playing a Nintendo Wii video game. The game's controller was shaped like a gun that looked very similar to the real handgun, which her stepfather had put on a table in the living room." According to the report, McKeehan's stepfather Douglas Crongerber "usually kept his gun unloaded and in a cabinet. However, on Saturday night, Cronberger got out his gun, loaded it and went outside to look for what he thought was a prowler. When he came back inside, he put the gun on an end table in the living room and forgot about it, according to a Sheriff's Department statement." The report stated that Cheyenne "learned how to use a gun from playing a Nintendo Wii game for days."